Your tenancy ends and you are looking to get your deposit back with a professional end of tenancy cleaning in Southwest London SW? You are a landlord and your property was left messy and not in an appropriate state for your next tenants moving in? If you face any of those issues, Mega Cleaning is the professional company in Southwest London you have been looking for. For many years on the professional cleaning market, we have the experience in providing you with quality house end of tenancy cleaning services at affordable prices. The End of tenancy professional cleaning service is a deep and throughout cleaning, not limited in time. Mega Cleaning team will stay as long as needed to complete your tenancy end cleaning to the highest standards possible. All of our tenancy cleaners are equipped with all necessary equipment and detergents needed to perform the quality post tenancy cleaning service you deserve for unlimited time. We will clean the whole property top to bottom and will leave it dust free and sanitised. The most noteworthy aspect of the move out cleaning service is that we guarantee it for 48 hours which means that if by any chance there is a missed area during the cleaning, we will send a team back for a free re-clean. From our experience, we know how important is customer satisfaction and achieving a high-quality standard every time. We have therefore prepared a checklist of all the requirements of the leading letting agencies operating in Southwest London. 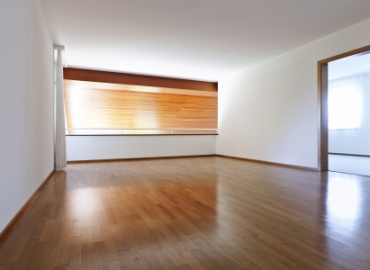 Thus getting back your deposit with our professional end of tenancy cleaning was never been easier. Above all, your landlord or managing agency will be completely happy with the cleanliness of your old dwelling. Thankfully, with our comprehensive tenancy end cleaning service in Southwest London, you can avoid any stress. Moreover, you concentrate all your energy on moving to your new residence. Always a great asset to your End tenancy cleaning is adding the unique Carpet and Upholstery cleaning. As a result, your property will be looking even better and receiving your deposit back is guaranteed. 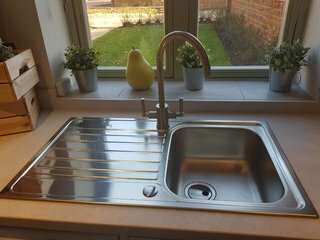 Discover the other comprehensive cleaning services in Southwest London like After builders cleaning and One off cleaning (spring, deep clean). You can take advantage of them at any time you need help from professional cleaners. *Minimum charges apply and all price rates are suitable for areas within M25. *The tenancy end cleaning prices include one bathroom and one flight of stairs (for properties of 2 bedrooms and bigger). Please inform us if there are additional rooms such as study room, balcony, conservatory, utility room, cellar, attic, etc., or if there are more bathrooms, WC, a flight of stairs, living rooms, etc. *Please note that during the end of lease cleaning the property should be empty of personal belongings, fridge and freezer must be defrosted at least 24 hours prior the service and there must be access to electricity and water. 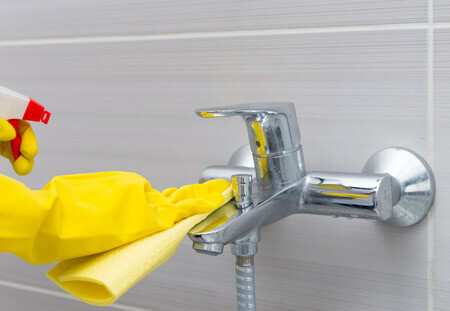 Finally, as you have noticed, an End of Tenancy Professional Cleaning service is not an easy task. To get your house cleaning end of tenancy in Southwest London spotless and your full deposit back, you can give us a call now on 020 3637 7737 or send us your request online. Mega Cleaning company is your reliable partner in Southwest London for high-quality cleaning services with value!